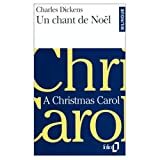 Put a great twist on your holiday reading and discover A Christmas Carol in French (at left)! This bilingual version lets you follow along in both languages and gives readers an interesting insight into the translation process, as you will see that everything is not translated literally. 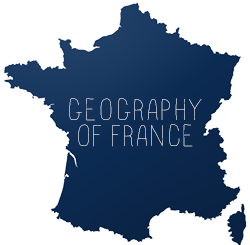 Europa Foreign Books is a great place to find French language books. Read a Bande Dessinée, Make a DifferenceMon beau sapin is a blog that posts a different French comic about Christmas every day, and visitors to the site help accumulate money which goes towards Red Cross' Christmas Trees project, to give gifts to underprivileged children. 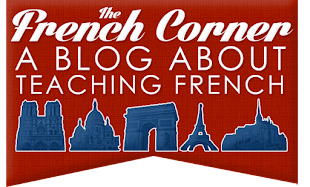 What a great way to enjoy a cherished French pastime and make a difference all at once! Discover Christmas Through a French Child's EyesChildren's literature can be a fun way to keep up with your French, especially since the vocabulary tends to be simplified. Popular children's website Momes.net has a great section on Christmas with songs, stories, tradtitions, and games. Or, why not try watching a holiday special in French? Below, you can watch the Christmas special from the beloved children's show T'choupi et Doudou. Watch a Classic French Movie Joyeux Noël (left) is a movie about the World War I Christmas truce. The movie is actually in English, French, and German, but it was written and directed by Frenchmen. I will admit I have not yet seen this movie but it is high on my list and I am hoping to see it this holiday season. A current film that has been generating a lot of buzz is Un conte de Noël. Listen to Some Holiday HitsI love listening to French holiday music. One of my favorite French Christmas songs is "Les cloches du hameau" on Céline Dion's album These Are Special Times . While most of the songs on this album are in English, she does have a couple of French-language Christmas albums, some of the songs of which are on the playlist at left. Another holiday album I love is Roch Voisine's L' Album de Noel . Hanukkah is a minor Jewish festival but has taken on greater importance in the USA because of its proximity to Christmas. But it is not the Jewish equivalent to Christmas and has a very different character. The Hebrew term ‏חֲנֻכָּה means "dedication". In French "Hanoukkah" or "Hanouccah" would be the l"a fête de la Dédicace" or "fête de la Dédication". It was later known as "la "fête des lumières" (mentioned by Josephus, a Jewish historian in the late Second Temple period). If you do a search for "Hanoukkah" on http://yahoo.fr/, you will find a number of links with information that might be helpful to you. For primary sources in the apocrypha, see 1 Macc. 1:29-64; 4:36-61; 2 Macc. 6:1-9; 10:1-8. The New Testament mentions this Jewish festival in John 10:22. You could also look at Josephus, Antiquities 12:316 (12.7.6.316) - 12:326 (12.7.7.326). See Megillat Ta'anit for a first century mention. In the Mishnah, see mBik 1:6; mRosh 1:3; mTaanit 2:10; bMeg 3:4, 6; mMoed 3:9; bBab 6:6.